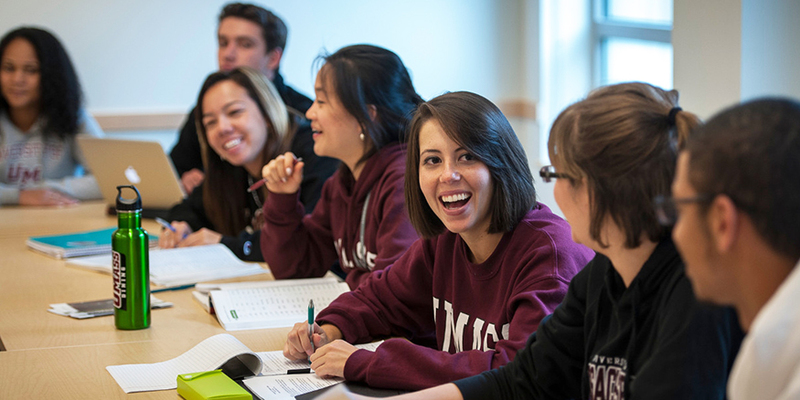 The University of Massachusetts Amherst recognizes many of our incoming students would benefit from learning more about the many majors offered on campus that may be a good fit for their academic interests and aspirations. The exploratory track will assist students with their consideration and ultimate declaration of a major based on their interest, eligibility, and academic proficiency. The public health and health sciences exploratory track focuses on issues including obesity, diabetes prevention, nutrition, women’s health, global health, healthy aging, environmental exposures, health equity, health policy, and more. Students interested in the quantitative, scientific, and behavioral aspects of population health and wellness, or in working directly with individuals and communities to improve health and wellness, will find the public health and health sciences exploratory track to be of interest. Exploratory track public health and health sciences students can expect to learn about the fields of communication disorders, nutrition, kinesiology, and public health all the while being supported with specialized advising as they explore majors and coursework beyond the School of Public Health and Health Sciences. In the fall, students will also be able to participate in a first-year seminar of 19 students or less, created with the needs of undeclared students in mind. This class will expose them to issues in the public health and health sciences fields, orient them toward resources across campus, and help them learn strategies for success at UMass Amherst.